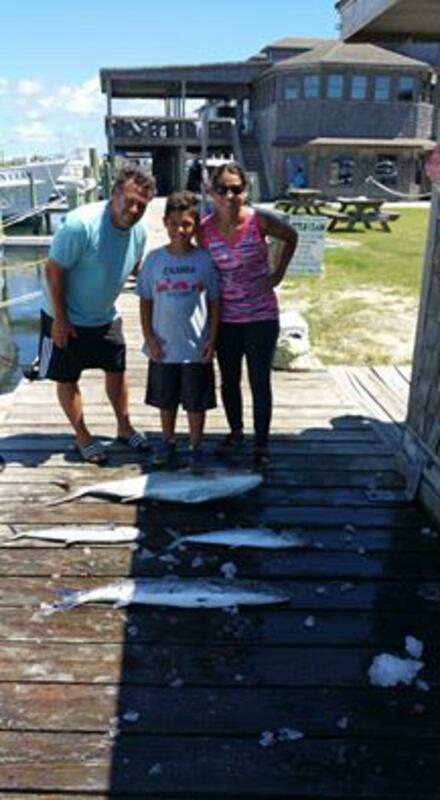 Hatteras Fishing Report for 8/12/2016 -- Half day this morning and as pretty as the water was inshore yesterday it was twice as ugly today. Couldn't believe how fast it turned around in there but I guess 5kts of tide offshore will do screwy things to the water everywhere. We did manage to scrap out a few decent bites in the murky water including a real nice Amberjack for inshore for this little man. He did a great job battling him away from the wreck. We didn't do as good a job on our other jack bites. Did catch a nice cudas and broke one off that put on a better show than any billfish we have caught this year.